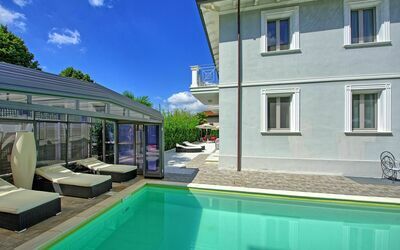 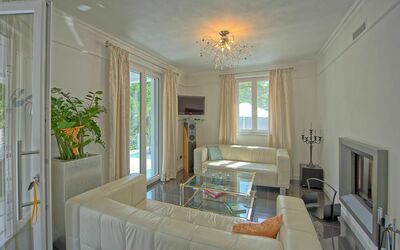 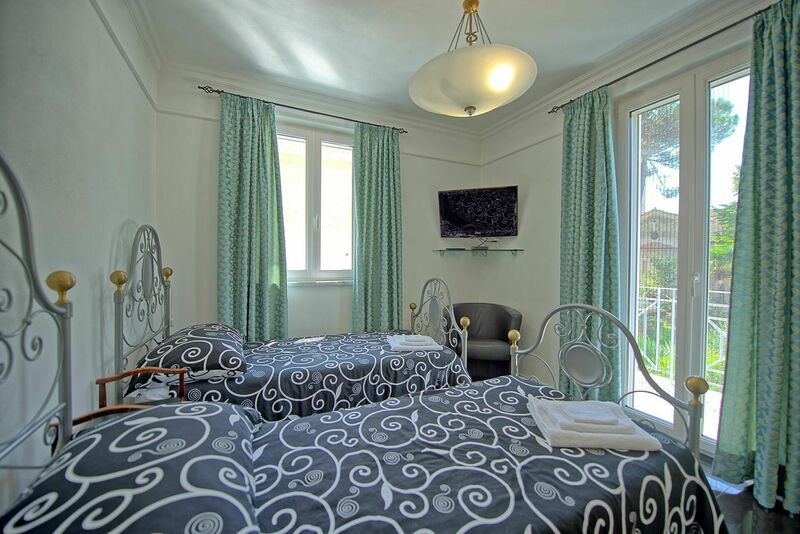 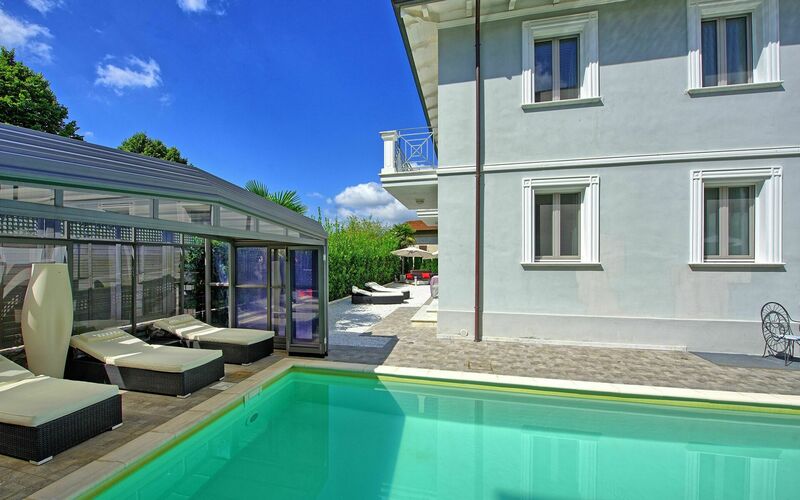 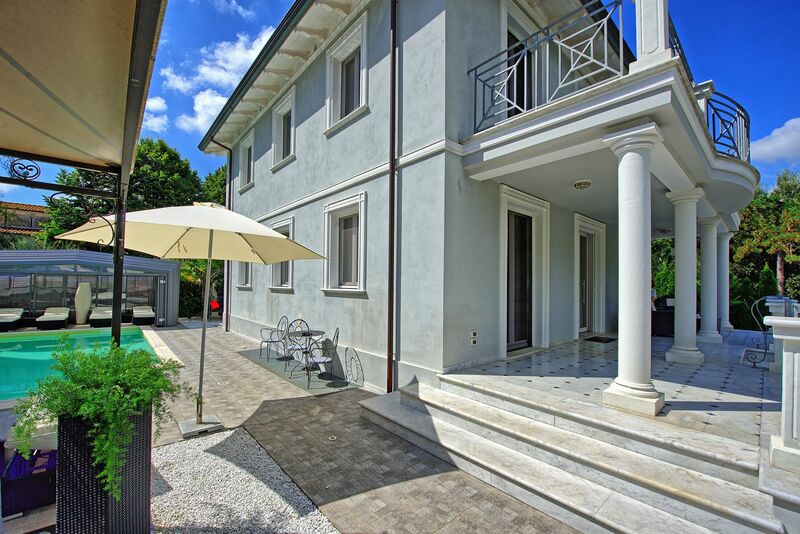 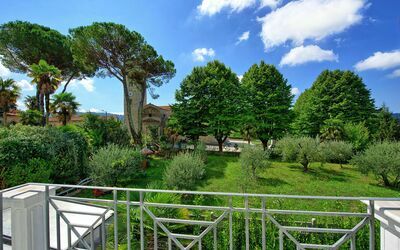 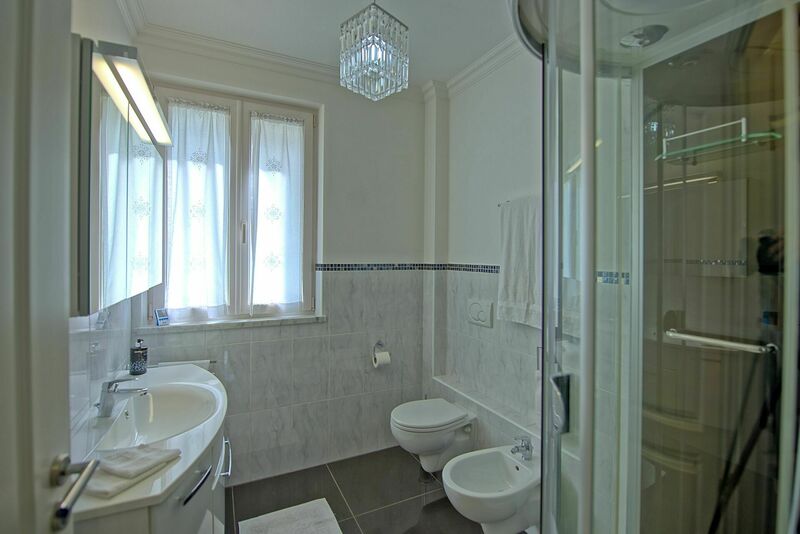 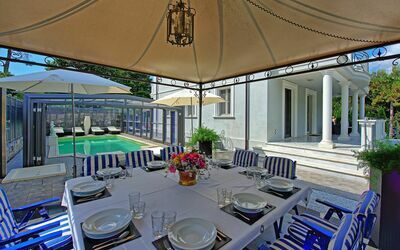 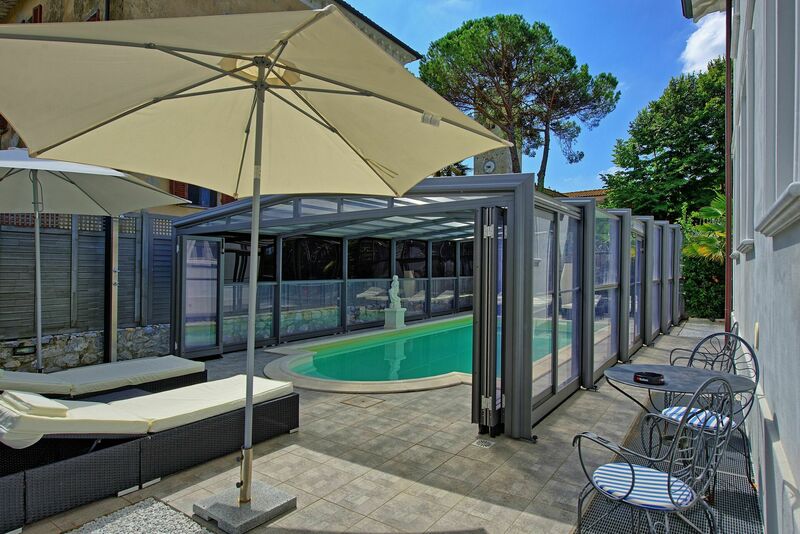 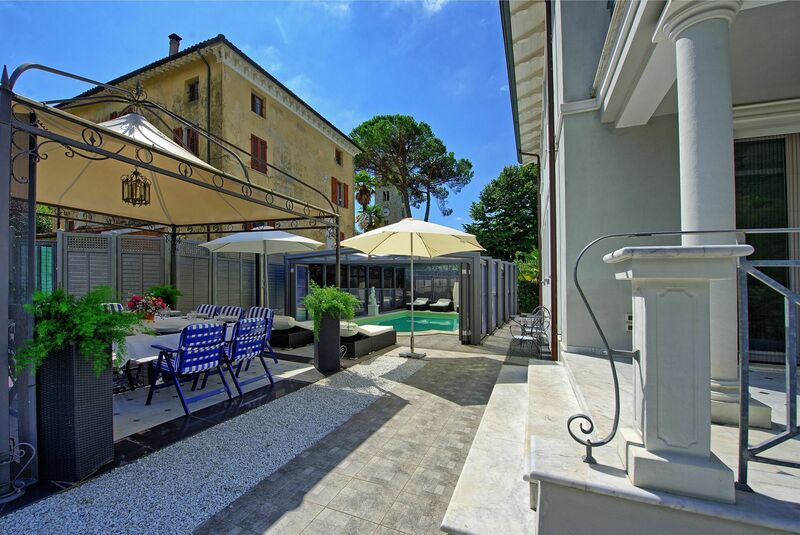 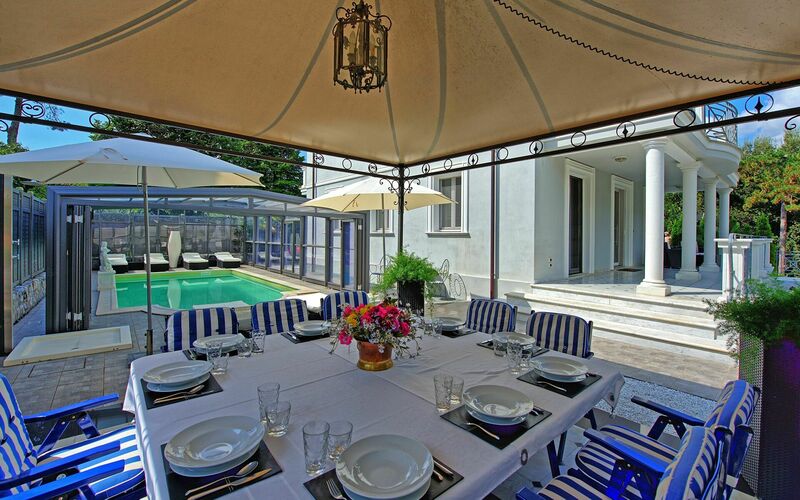 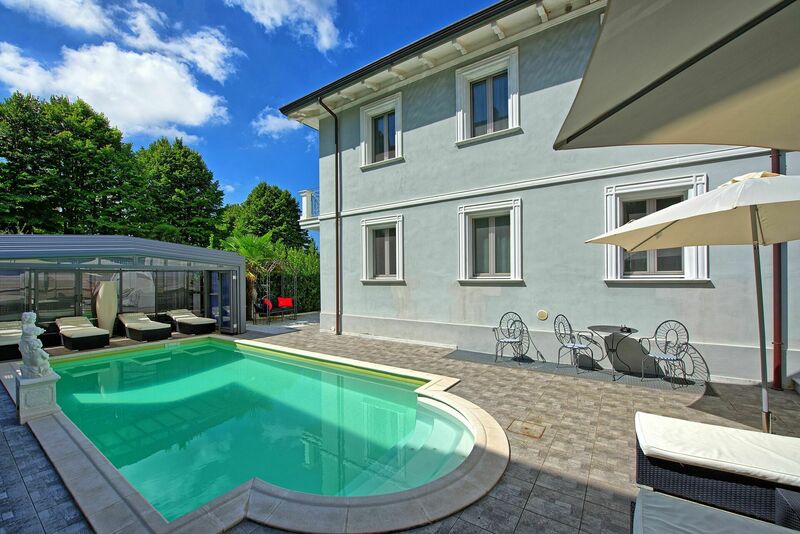 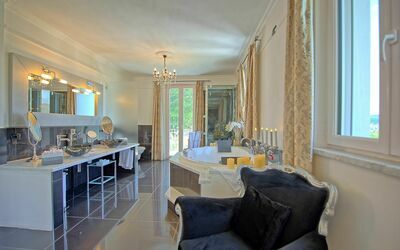 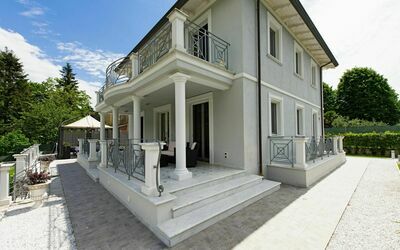 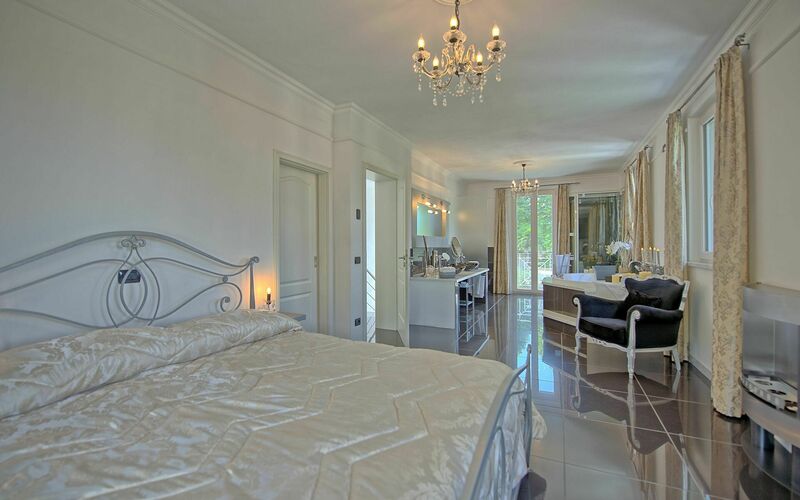 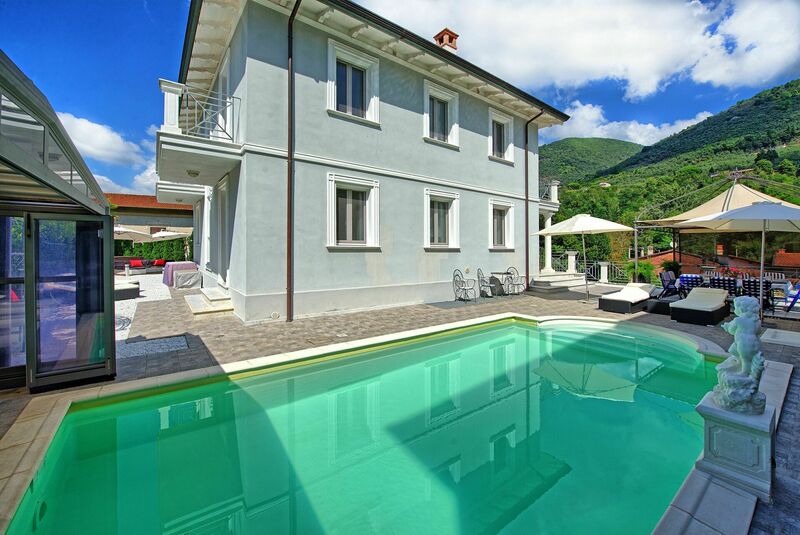 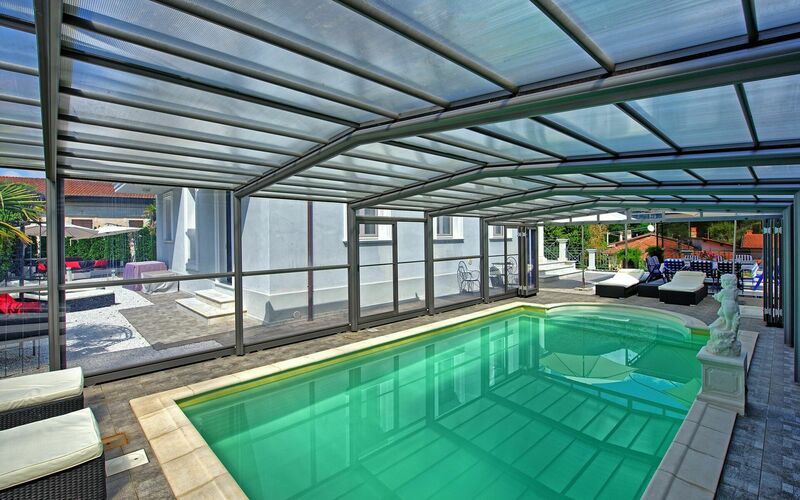 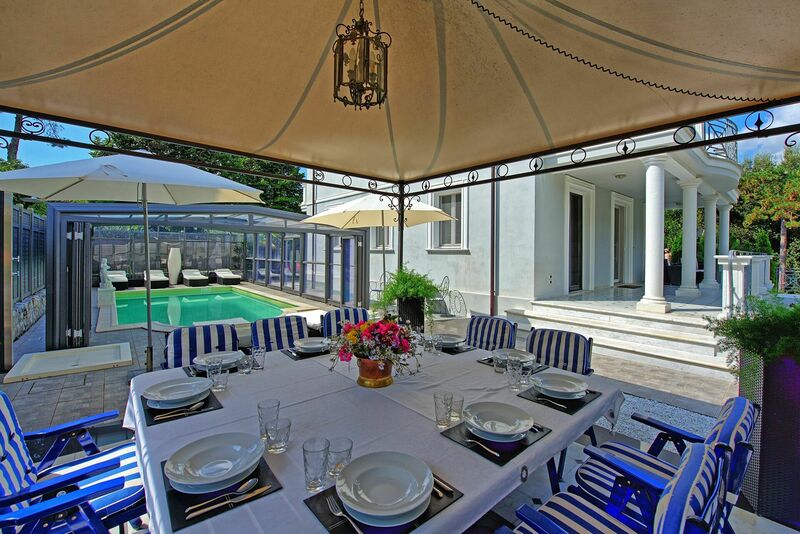 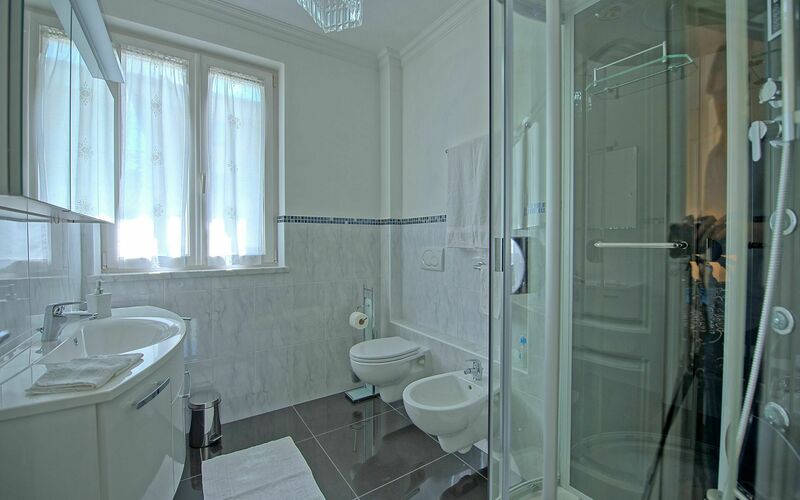 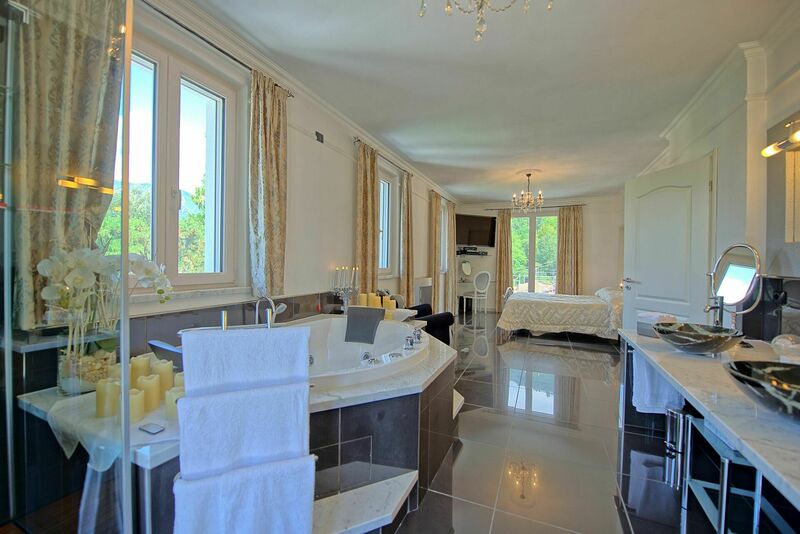 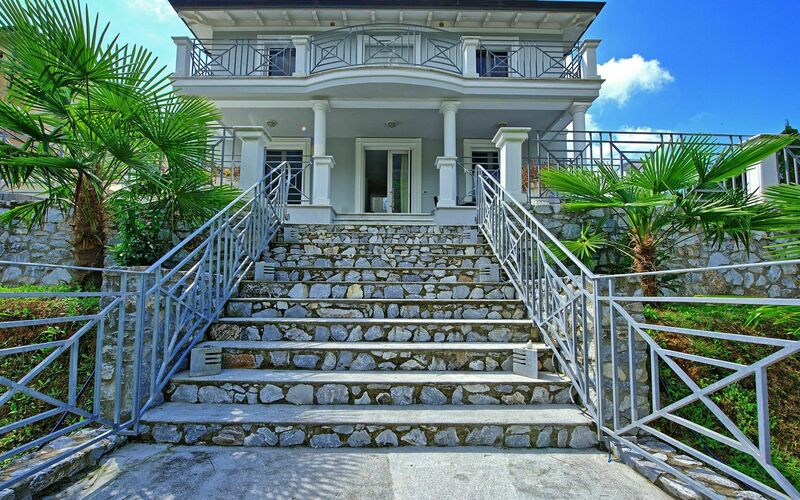 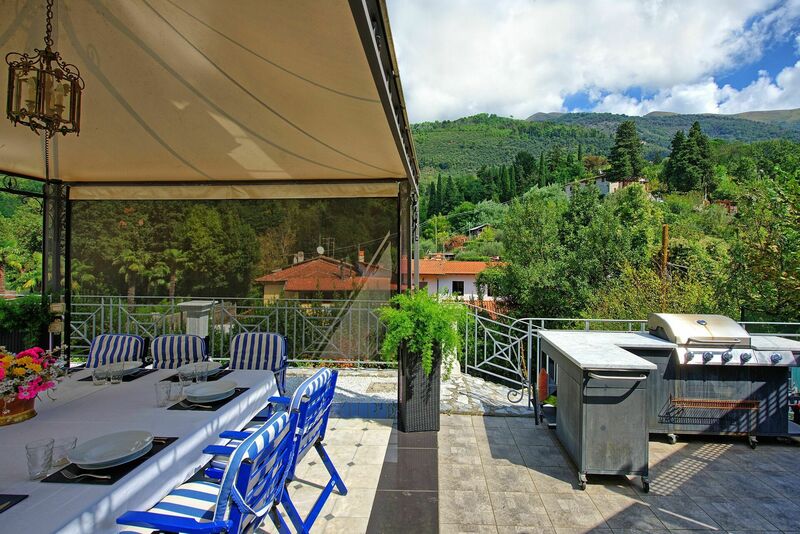 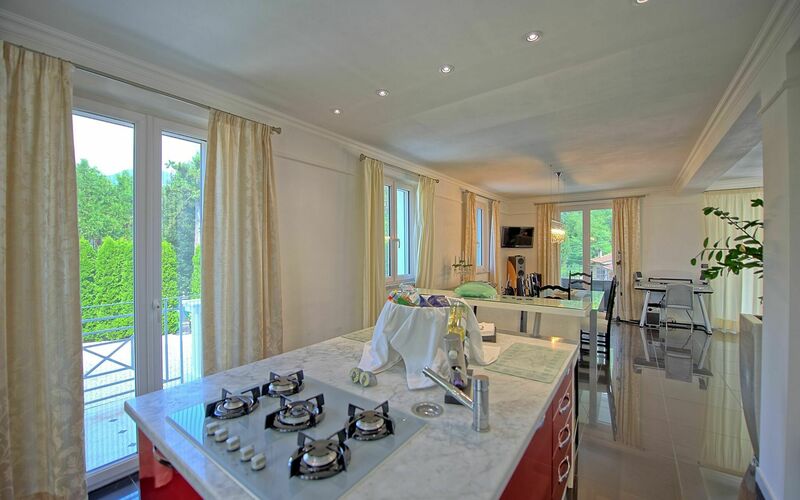 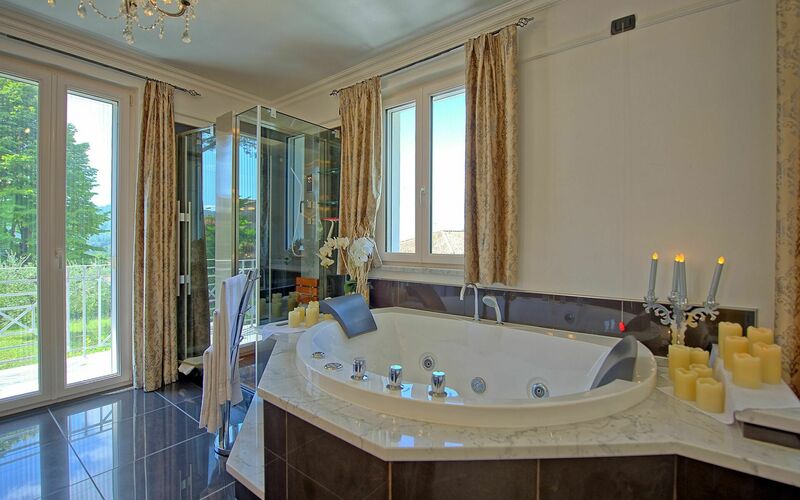 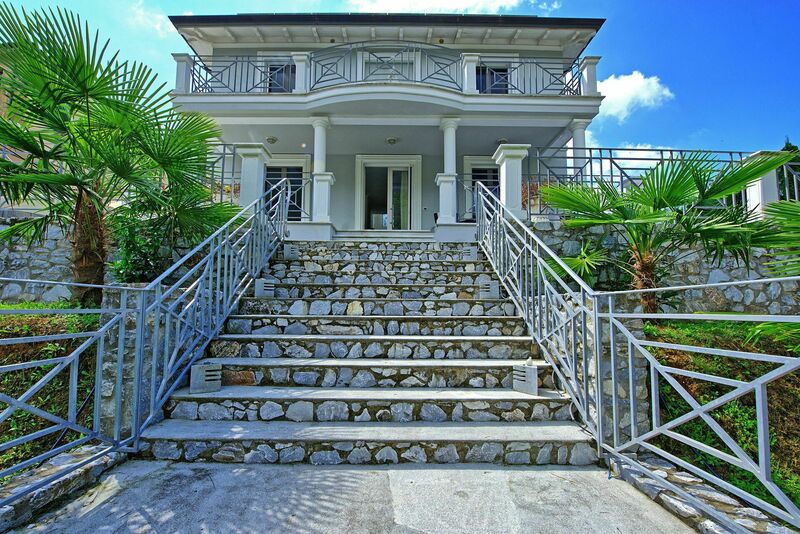 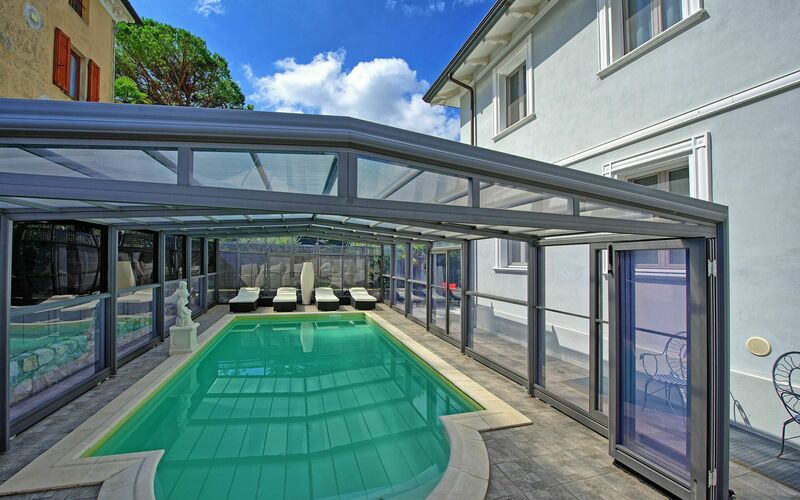 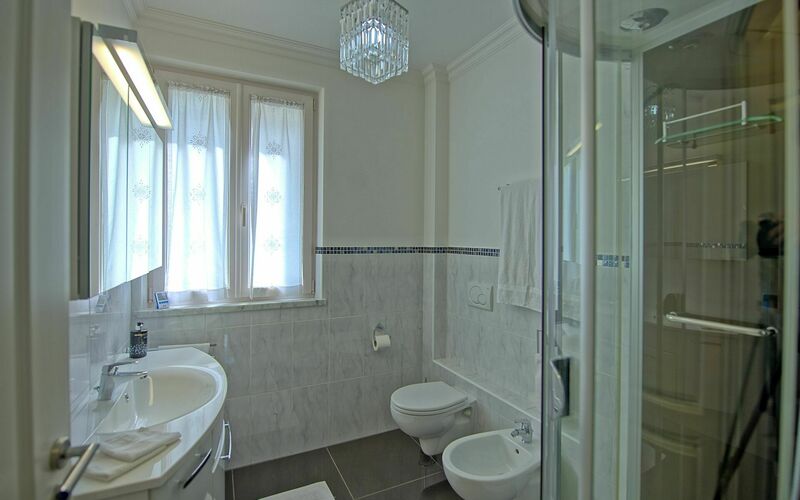 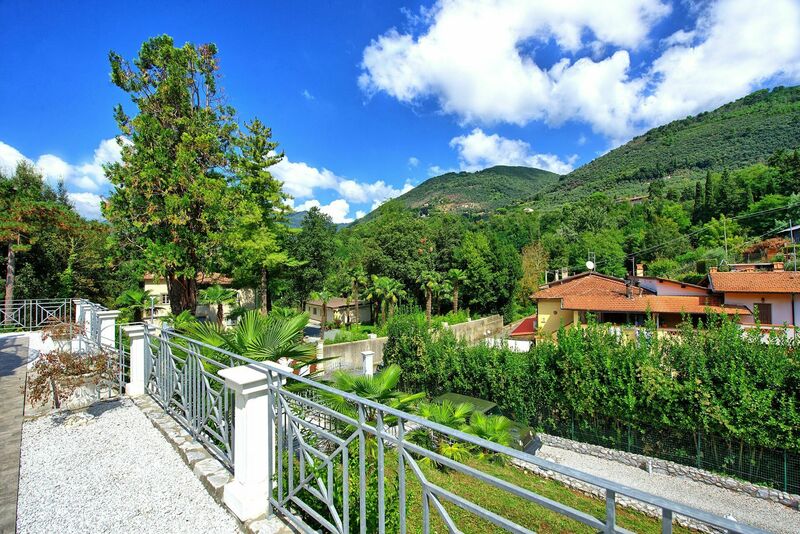 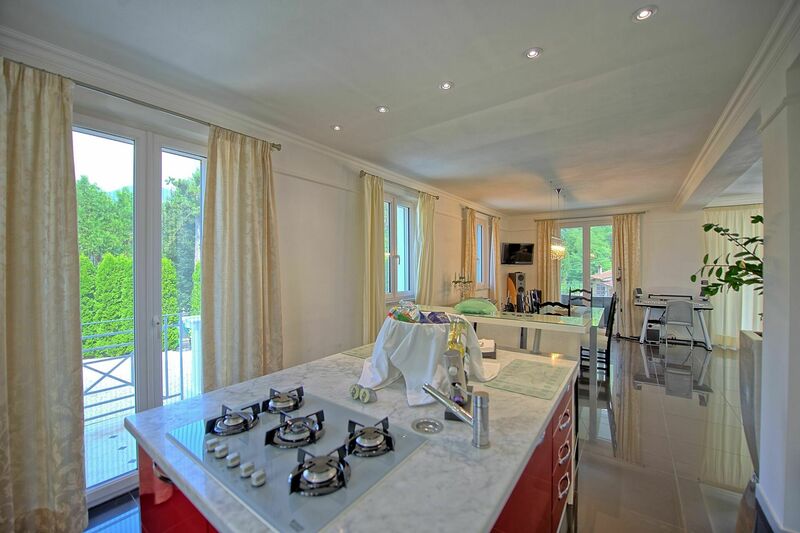 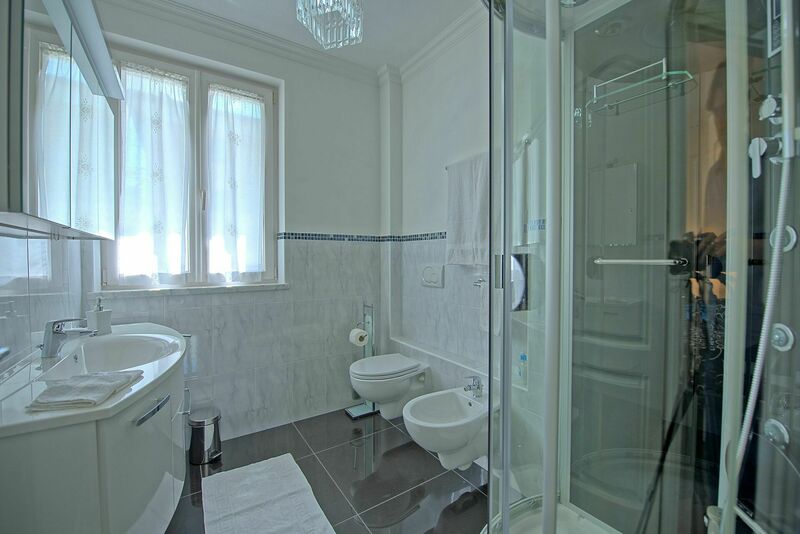 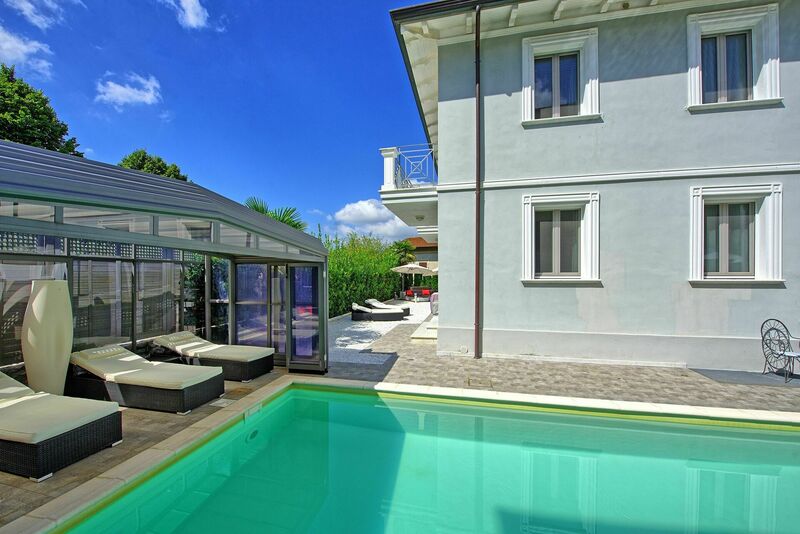 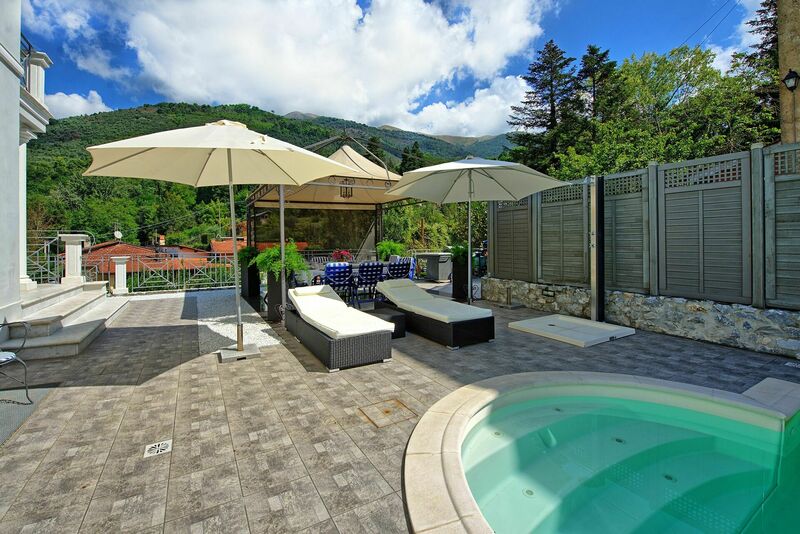 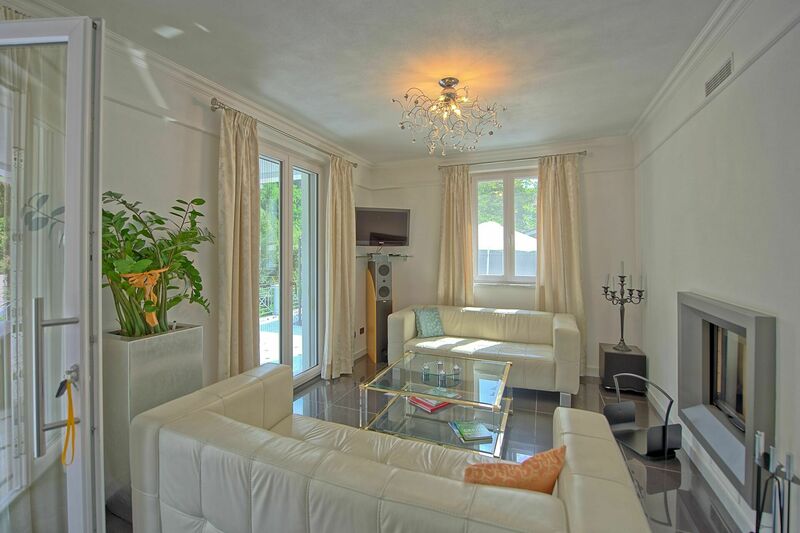 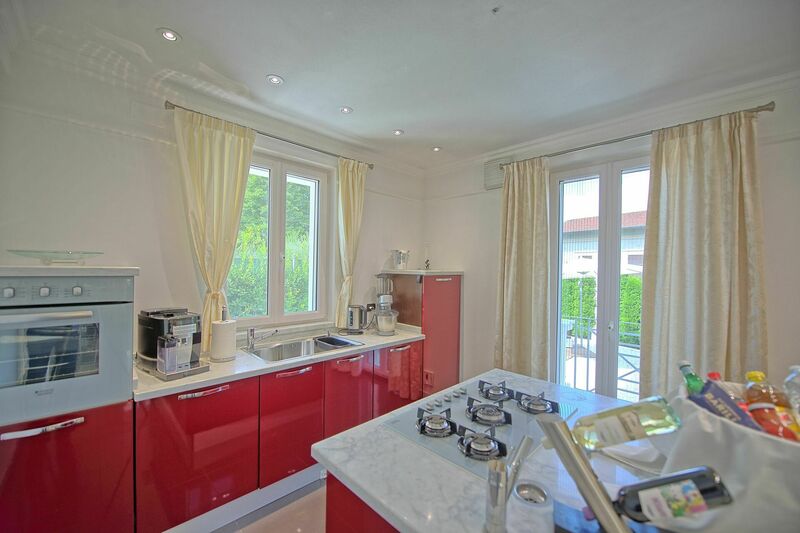 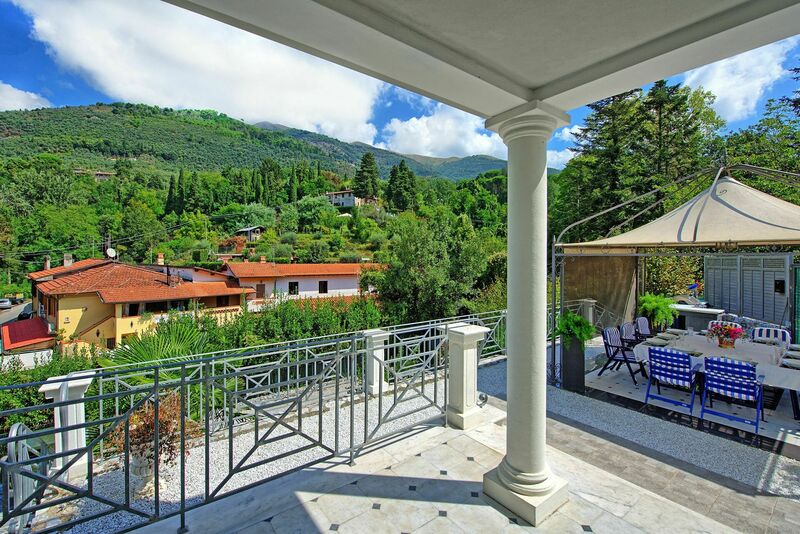 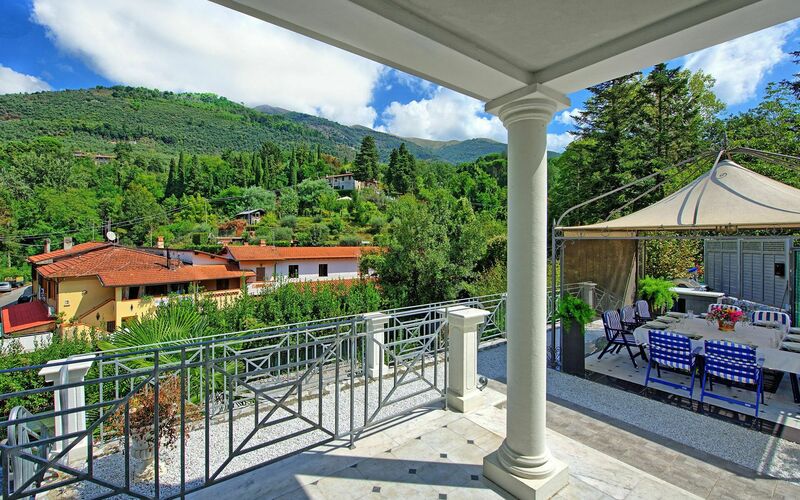 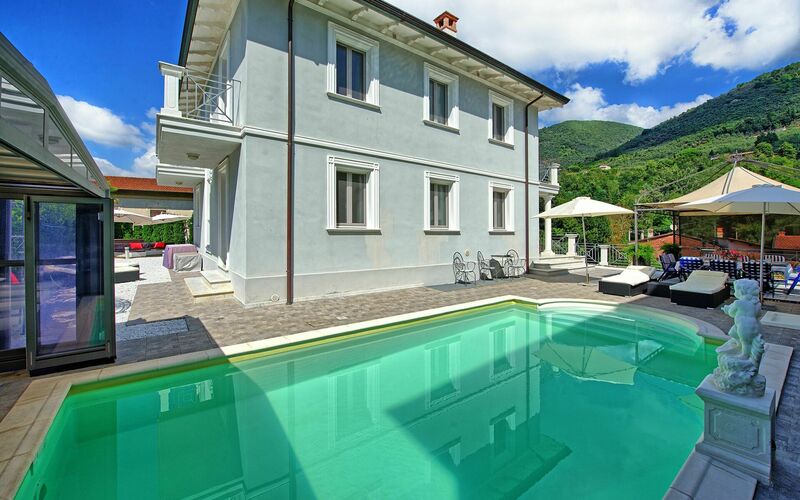 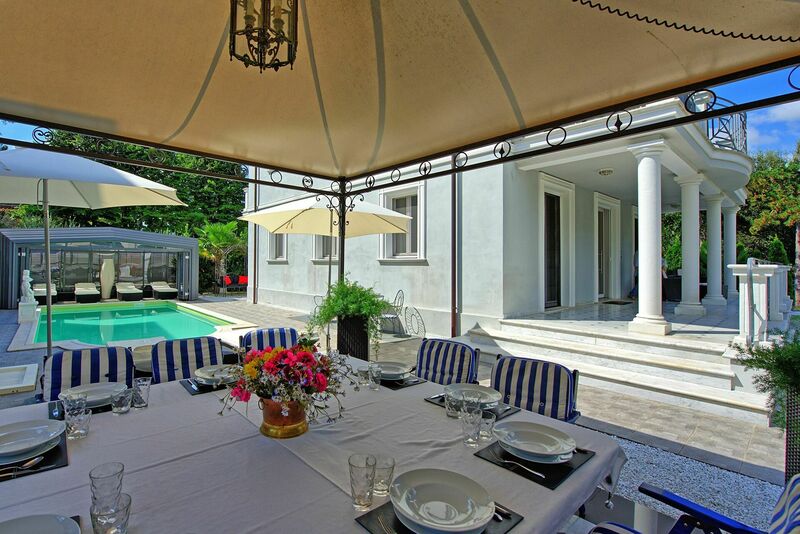 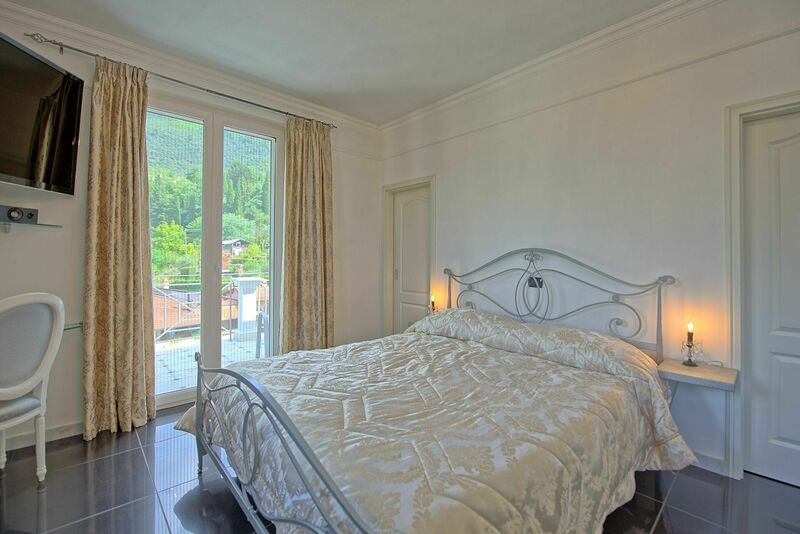 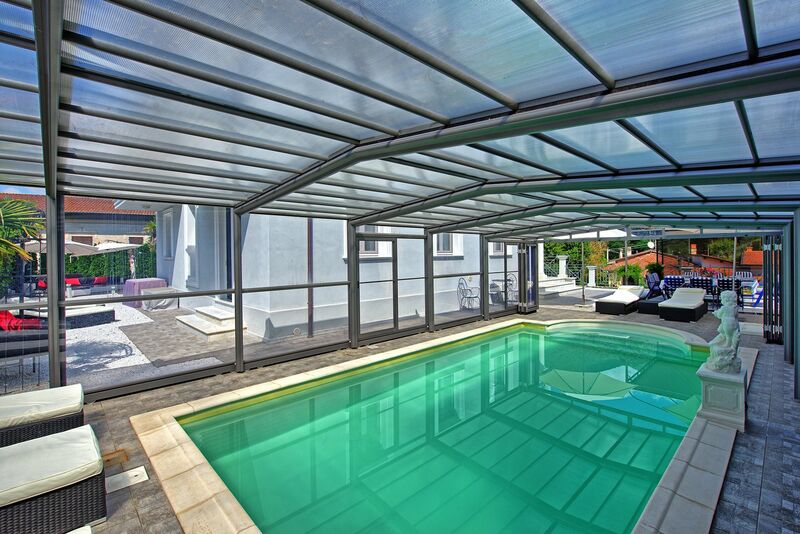 Beautiful private villa with swimming pool located in Versilia, along the Tuscan coastline. 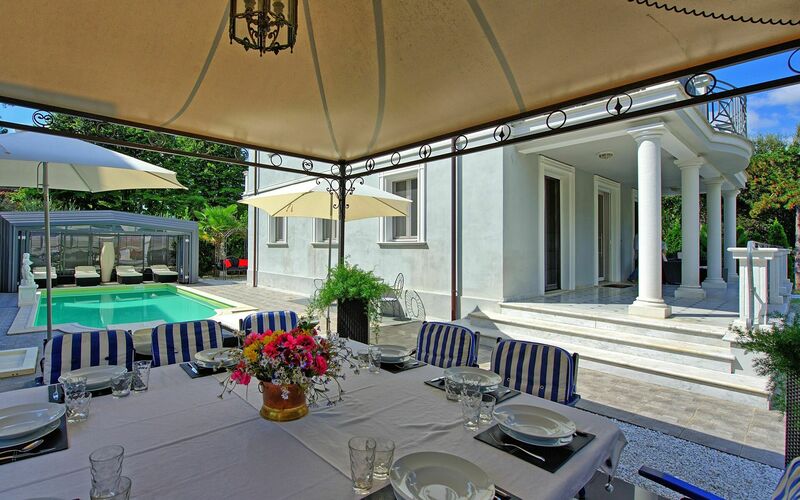 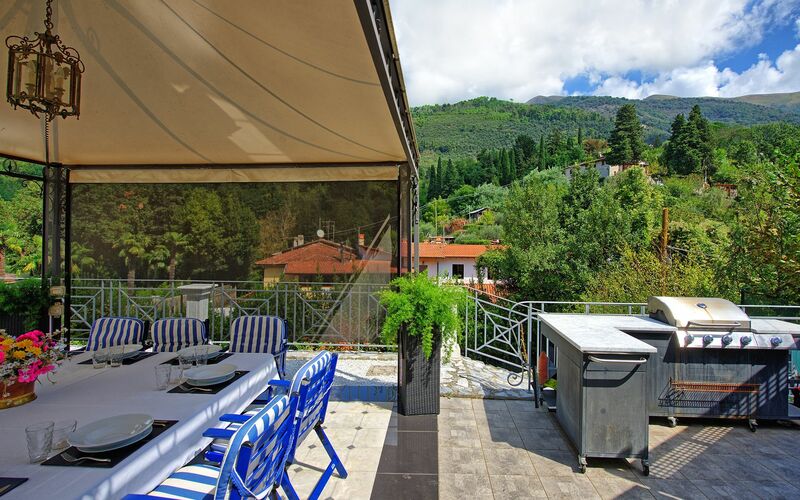 This property is surrounded by a beautiful garden containing a swimming pool reserved for the exclusive use of guests and various outdoor areas furnished for relaxing and dining outdoors. 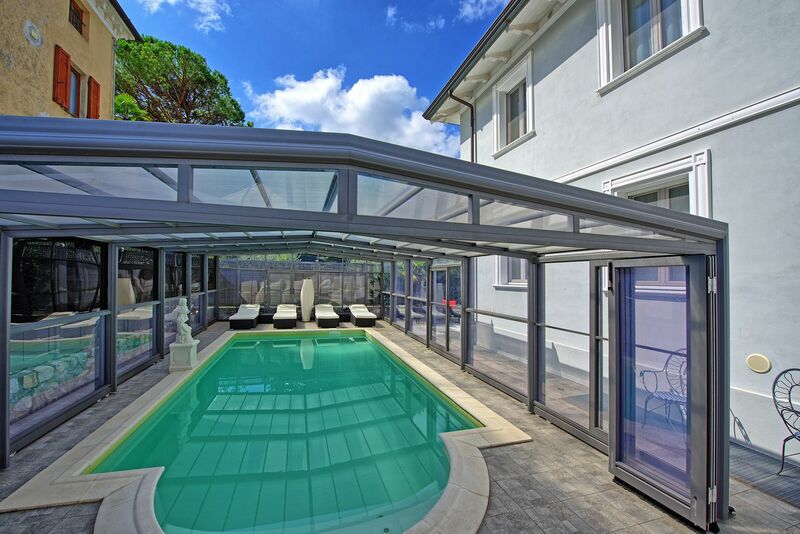 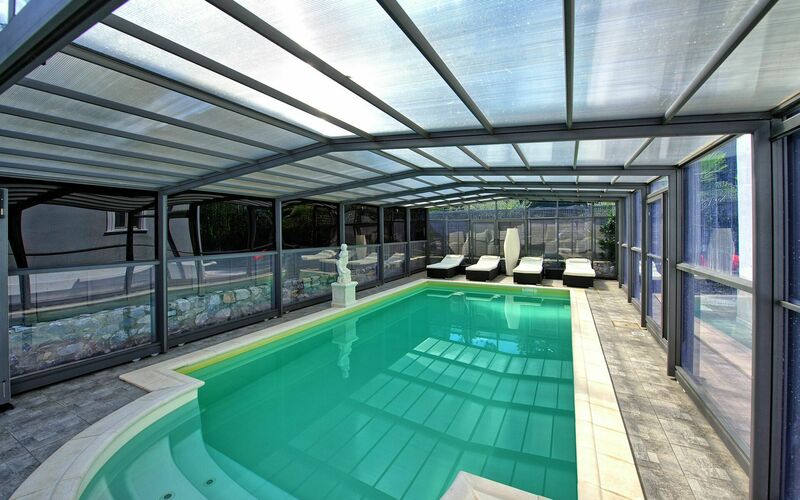 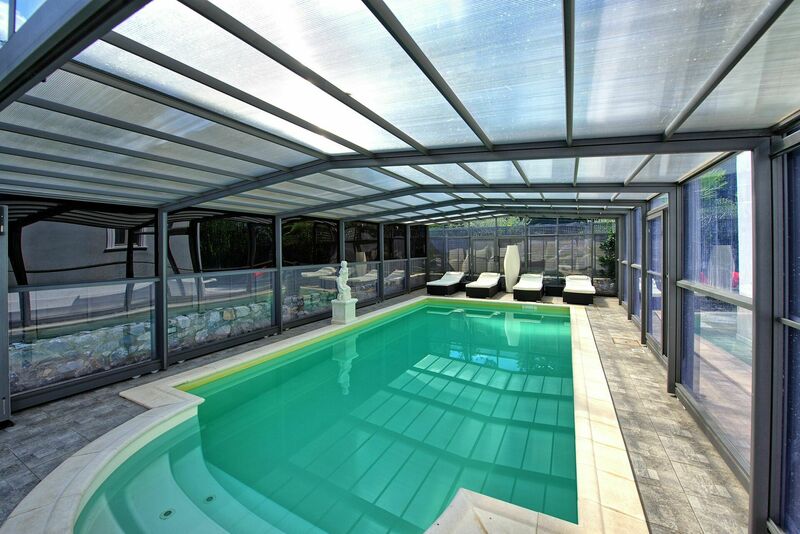 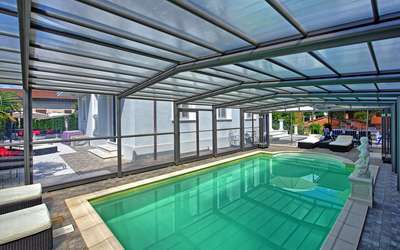 The swimming pool is open all year and even has an enclosure to retain heat in the cooler seasons (upon request it is also possible to heat the pool, bringing the temperature of the water up to 25°C. 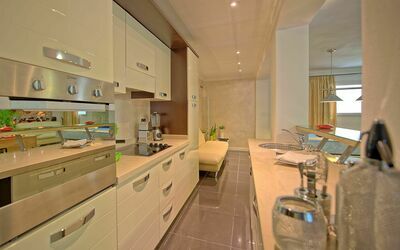 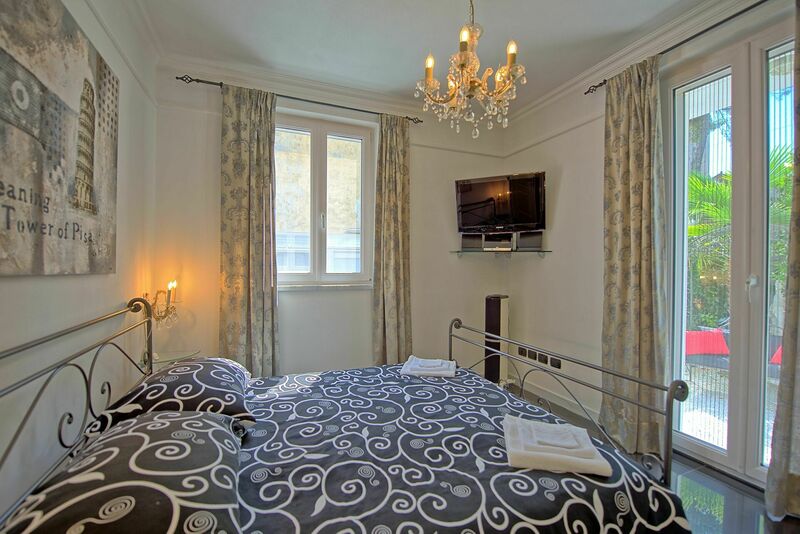 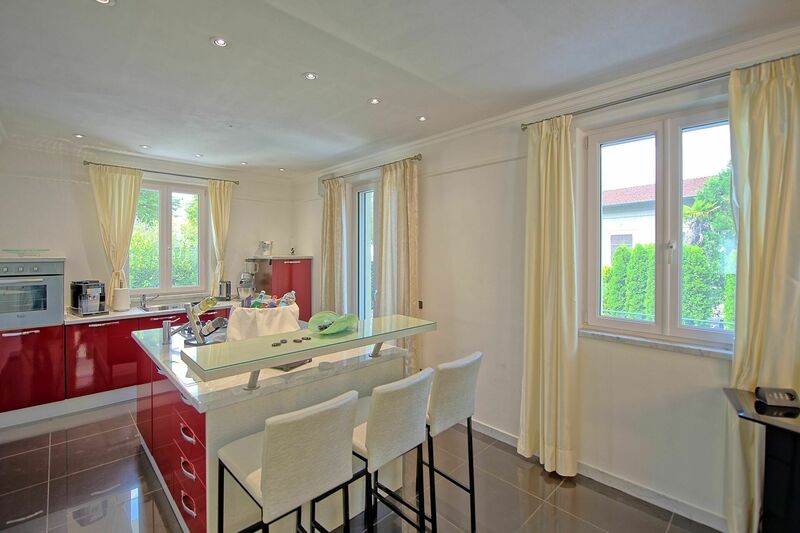 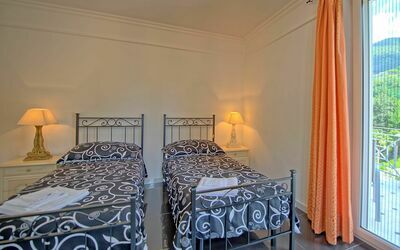 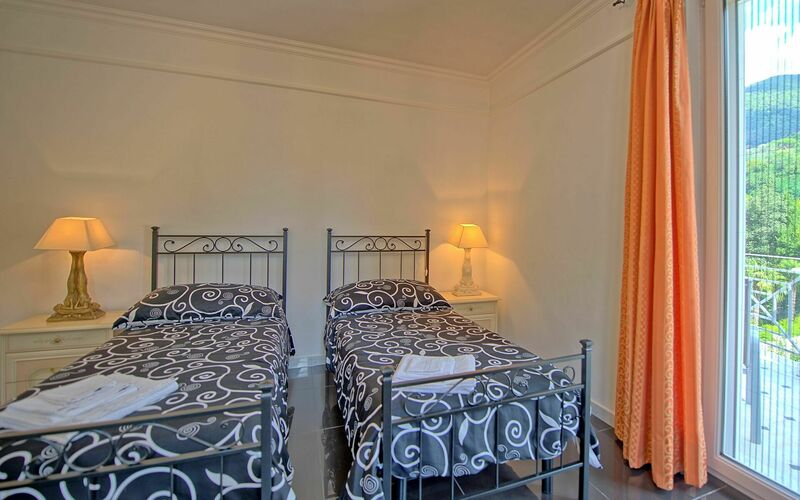 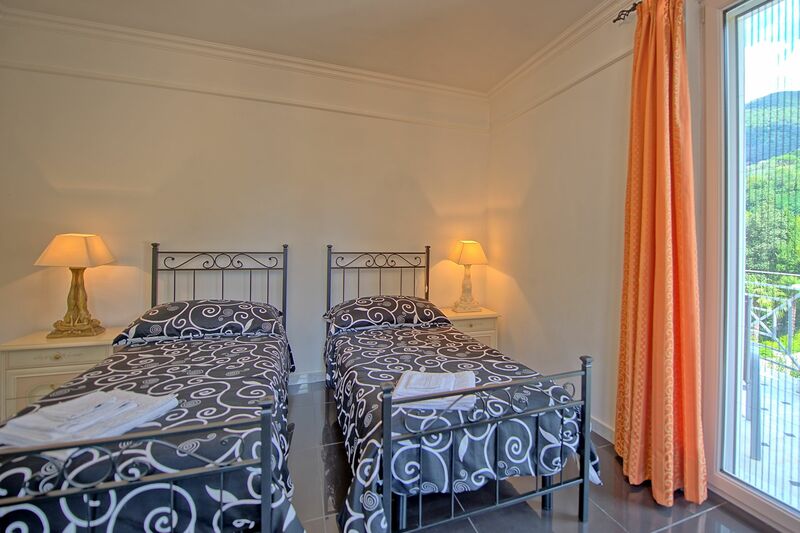 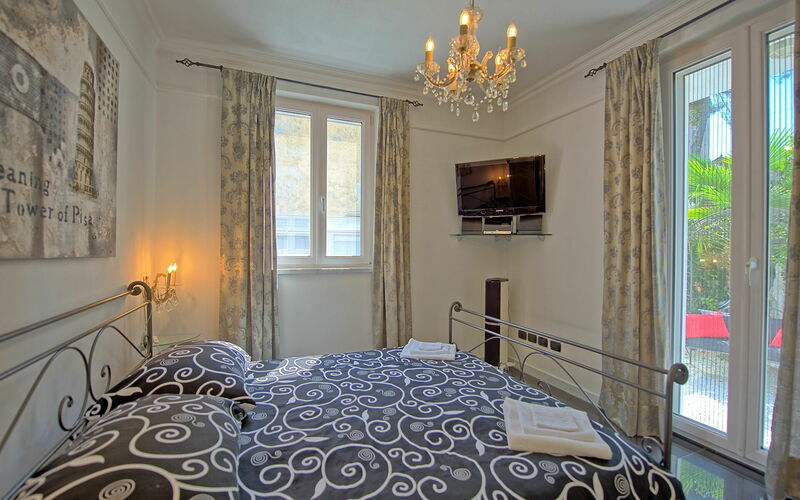 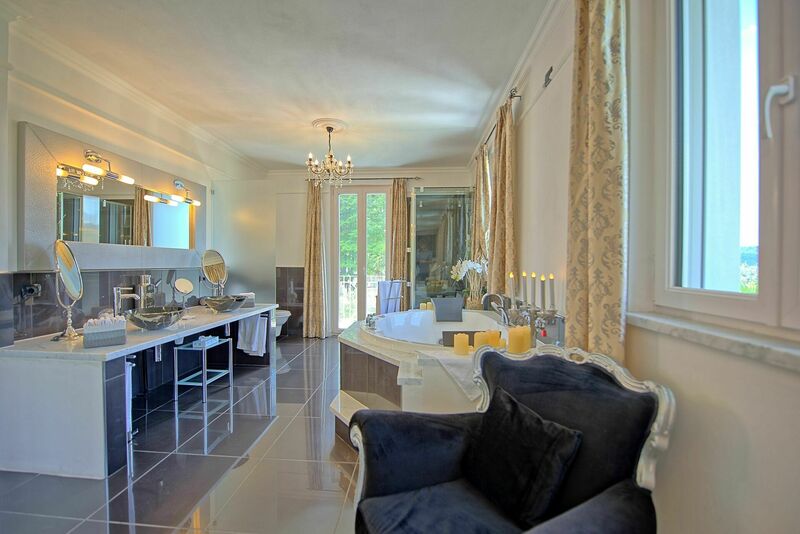 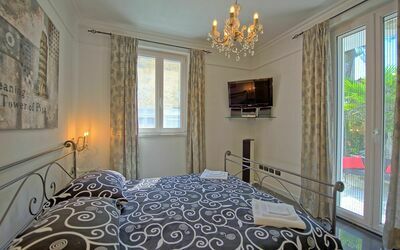 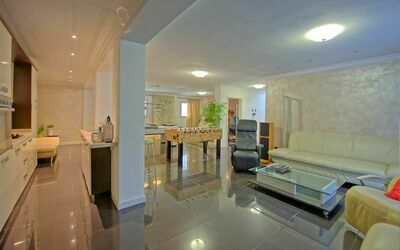 Inside the villa is furnished with great care. 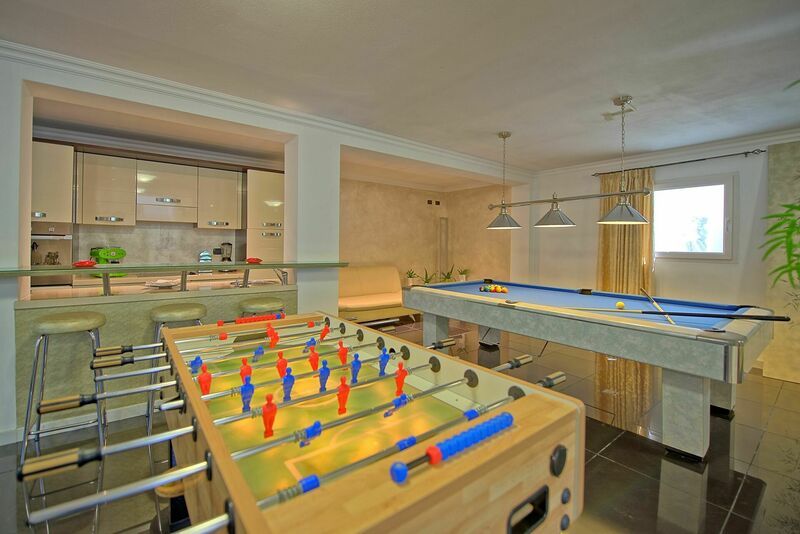 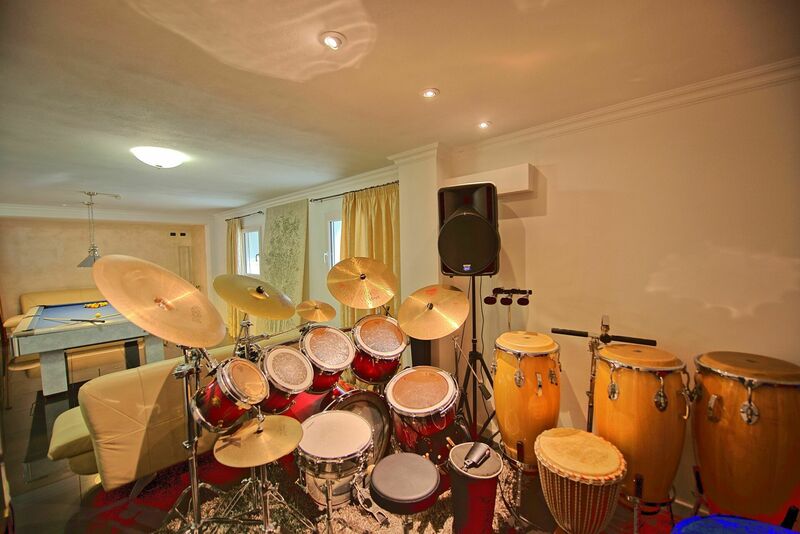 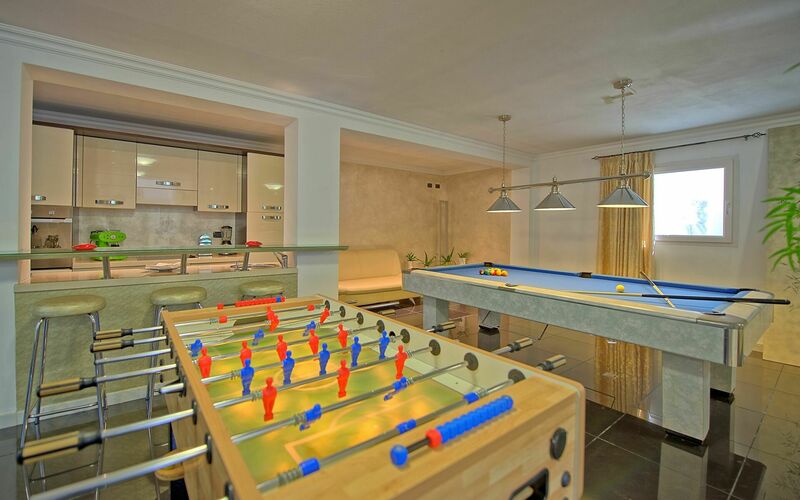 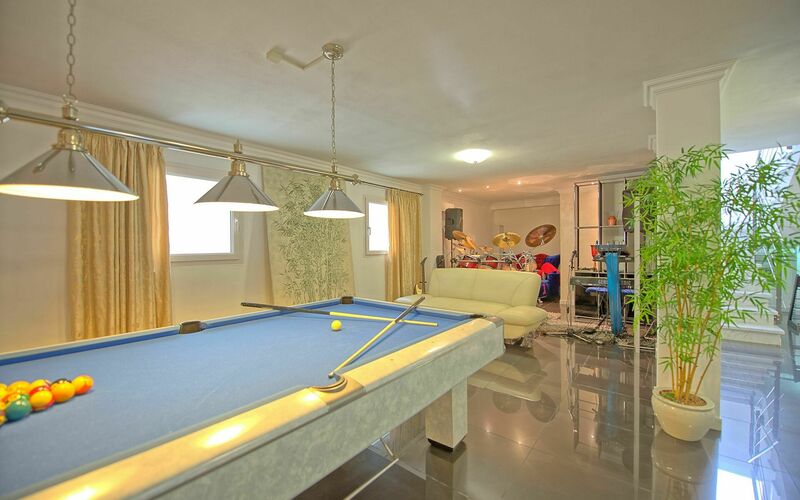 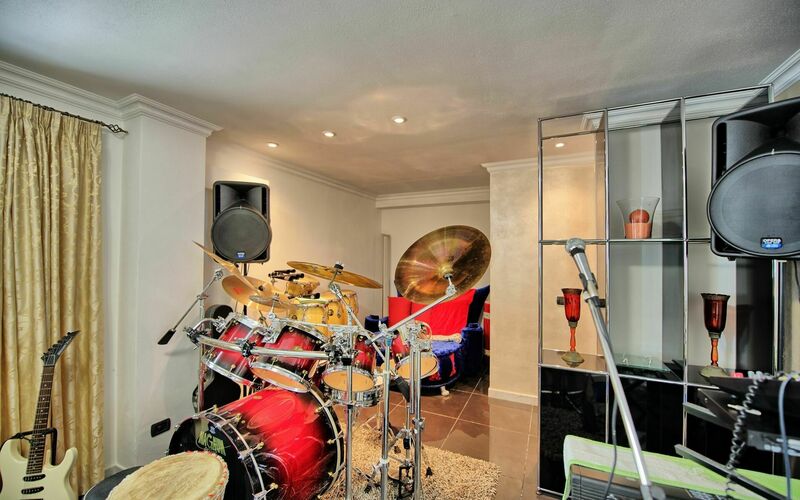 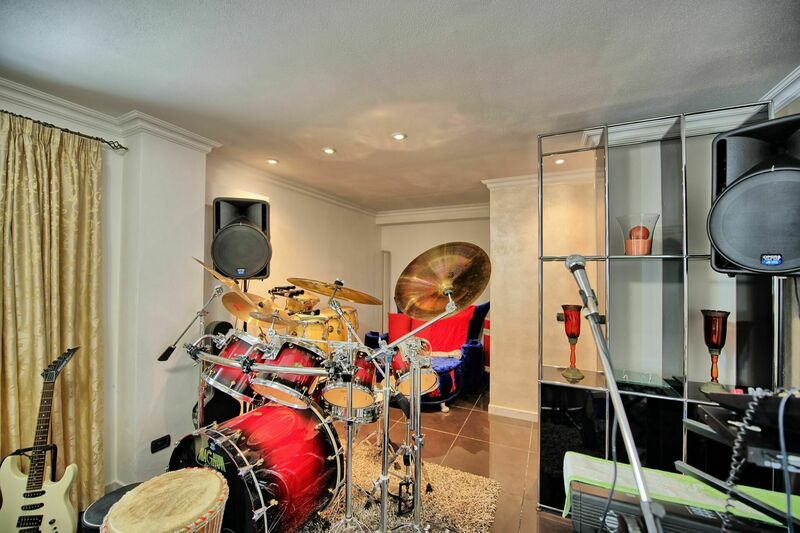 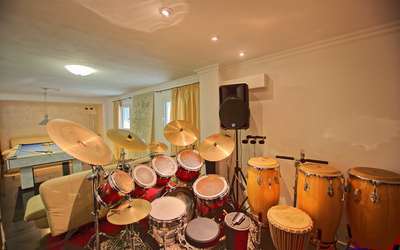 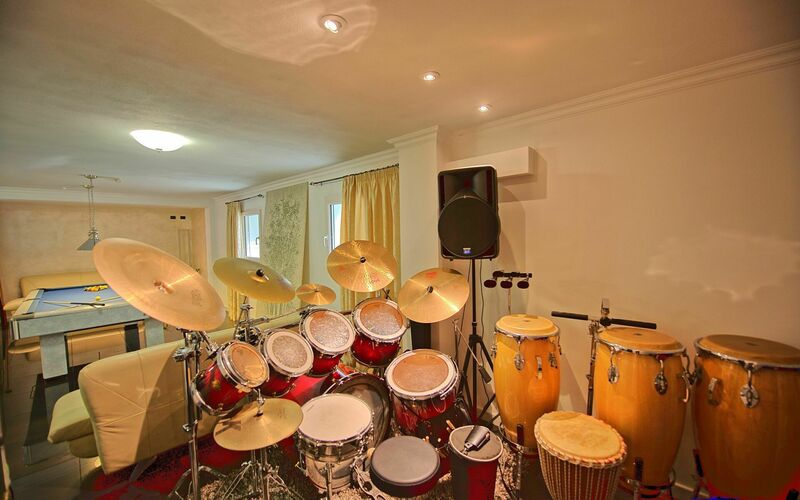 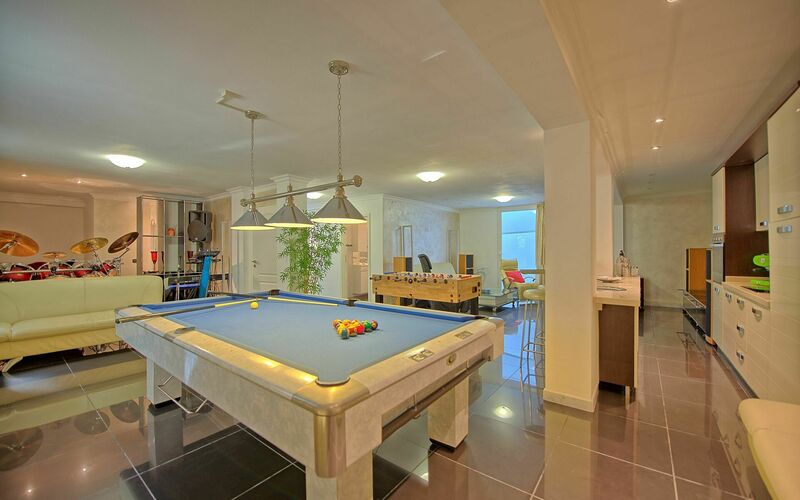 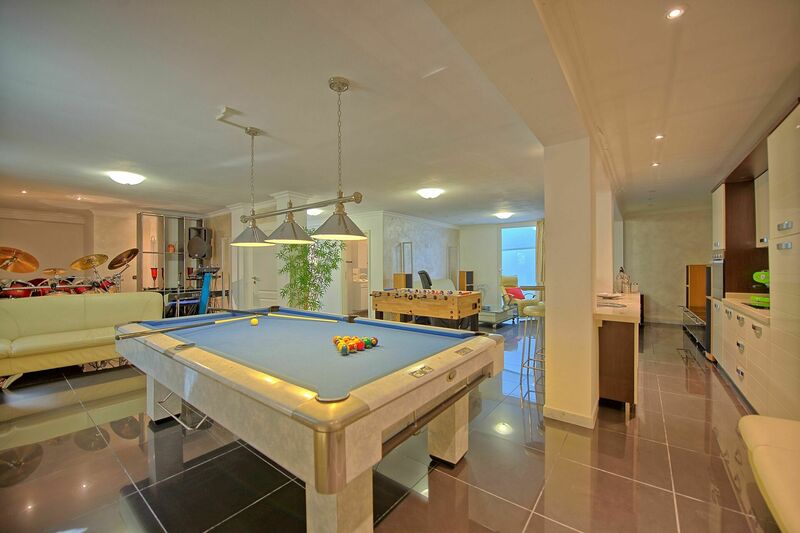 Guests of Villa Raffaela can enjoy themselves with the cinema system, foosball table, various musical instruments (drums, keyboard, microphone and karaoke system) and a lovely snooker table. 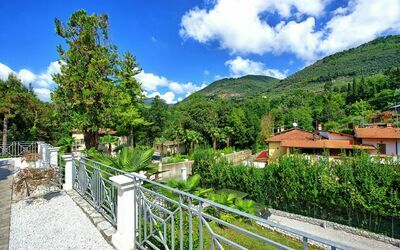 Less than 20 meters from the house there is a bar-pizzeria and the center of Camaiore with a wide variety of shops is just 3km away. 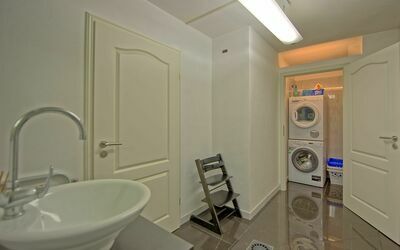 The sea is 12km away. 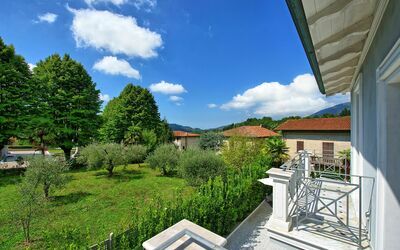 The property provides parking for three cars. 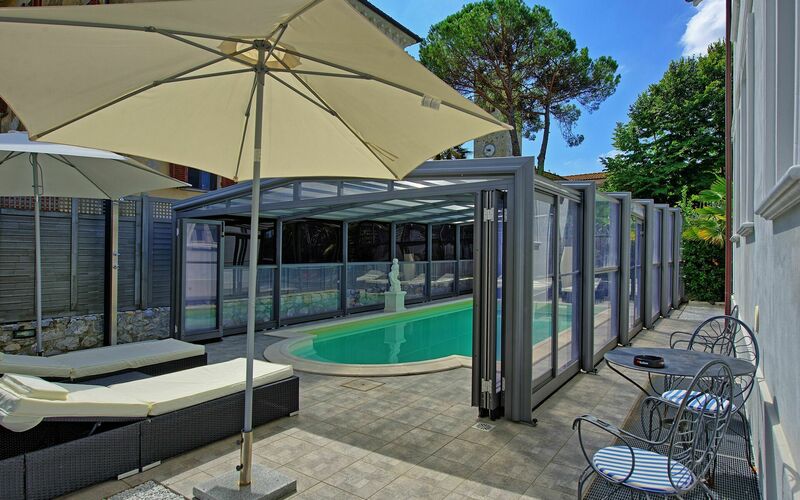 Distances: bar and pizzeria - roughly 20 m; Camaiore (shops of every kind) - 3 km, Lido di Camaiore (sea) - 12 km, Viareggio - 15 km, Lucca - 25 km, Pisa - 40 km, Montecatini Terme (famous thermal springs) - 63 km, the Cinque Terre are in a range of 70 - 90 km, Florence - 115 km. 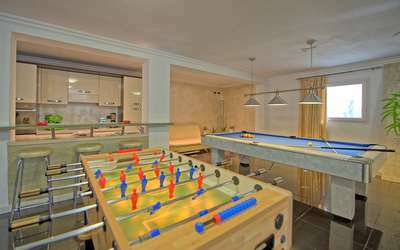 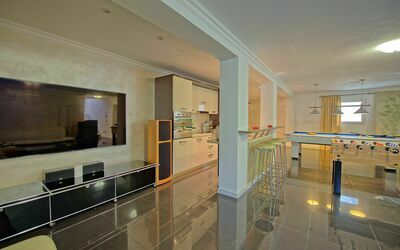 Lower floor (accessible also from outside): living area with kitchenette (oven, fridge-freezer, dishwasher), area furnished with Dolby cinema surround system, foosball table, snooker table, musical instruments (drums, keyboard, microphone and karaoke system), laundry room (washing machine and dryer), bathroom with shower. 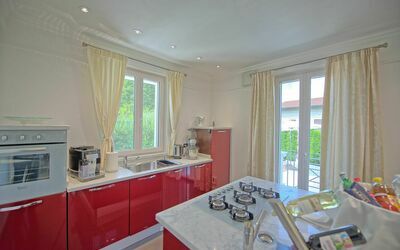 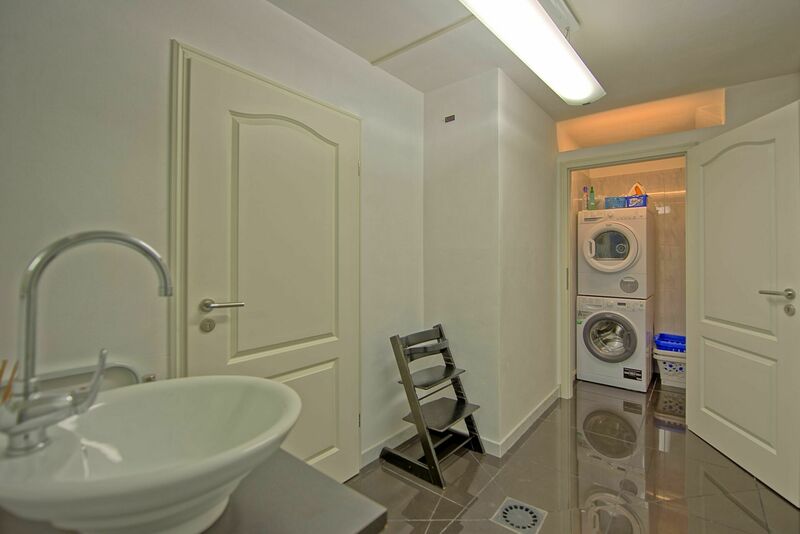 Ground floor: large living area with fireplace and satellite TV, dining area and kitchen (oven, fridge-freezer, dishwasher, American coffee maker), bathroom with shower, double bedroom. 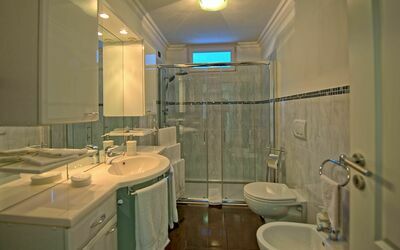 First floor: 2 twin bedrooms both with private bathrooms with hydro massage showers and saunas, large suite with fireplace, double bed and bathroom with shower and hydro massage bath.